THE ULTIMATE IN PRECISION IN YOUR HANDS The PowerCure adhesive system delivers the precision and performance of the high-end pump systems found on vehicle manufacturers’ production lines. It combines high flexibility, ergonomic and easy handling, and minimal waste in a clear and focused design. The use of a single, brushless motor mechanically couples extrusion, dosing and dynamic mixing, and allows users to control extrusion speed on the go and without compromise. Providing the fastest curing adhesives at an unmatched level of comfort for the user, PowerCure is the total solution for smaller sealing and bonding applications. SIKA’S POWERCURE ADHESIVE SYSTEM HAS RECEIVED AN IF DESIGN AWARD 2016 Sika’s PowerCure System design combines the benefits of both one- and two-component adhesive systems in a new and comfortable way. 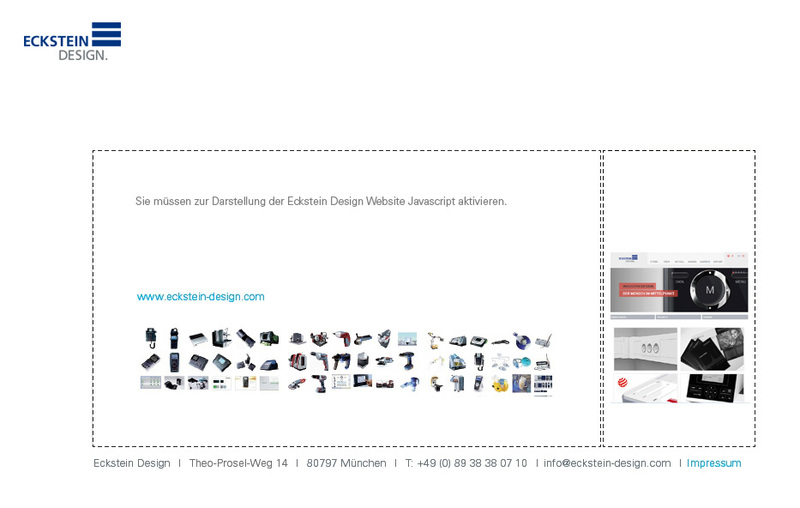 For the industrial design Sika has worked with Eckstein Design. Our efforts to create an outstanding solution for accelerated sealing and bonding has been recognized by the international jury of the IF DESIGN AWARD. POWERCURE – TOTAL SOLUTION FOR ACCELERATED BONDING PowerCure is the ultimate solution for accelerated sealing and bonding. PowerCure is full of new technology, protected by more than 13 patents. A range of products make the system the ideal solution when it’s about fast curing adhesive and sealants. IF DEWIGN AWARD For over 60 years, the IF DESIGN AWARD has been recognized the world over as a label of design excellence. The IF logo is an internationally established symbol identifying outstanding achievements in design. The IF DESIGN AWARD is one of the worldwide leading design awards. Sika’s PowerCure Adhesive System has received an IF DESIGN AWARD 2016 and Sika is amongst the winner of the renowned IF label. The number of competitors was huge: the international high-profile jury assessed more than 5.000 entries from 53 countries in order to determine who would receive this converted seal of excellence. ECKSTEIN DESIGN Eckstein Design is functional and esthetic industrial design of the highest quality. We dedicate ourselves fully to every project, contributing a wide range of expertise and experience, and above all a passion for interesting challenges. Our clients are international leaders in manufacturing from a range of sectors. Together we continue to bring new, successful products to the market – even over decades of cooperation. 3D goes HD! The new ECCO 75 Series from SmartRay delivers higher resolution, increased accuracy, larger field of view and more 3D points scanned per second. These stylish new high-definition 3D Sensors are ideal for detailed inspection, precision guidance and high accuracy measurement applications. Like the highly successful 35 and 55 Series ECCO products, the 75 Series 3D Sensors are compact, light in weight and very economical. The Helion 45 by H20tec is a powerful and compact purification-reactor. It functions on an innovative, patented principle and uses natural processes to efficiently purify water. The technical specifications of the instrument make it suitable for both installation in buildings and mobile use, for example on ships or in mobile homes. The case was specially designed with this in mind to be small and durable, with the control unit and system based on intuitive criteria. For H20tec we additionally re-designed a complete web presence which visually conveys the core benefit "fresh, healthy water" and provides a credible framework for product information. The OPTISET bathroom system from Richter+Frenzel impresses with elegant lines and beautiful proportions. The elegant round shapes of the wash basin and semi-column blend in perfect harmony with other OPTISET bathroom concepts like toilet and bidet. Matching chrome fittings and accessories complete the modern, self-contained design. The Doble Lemke PD-Smart is a multi-application partial discharge analyzer and diagnostic system for stationary and mobile use, produced in a limited series. The instrument is compactly designed and nestles comfortably in a transportable case. Functional elements like the grounding and battery mount are flush integrated. Overall the device appeals with its generous clarity and robust appearance. WEGA 80XX is the latest generation of laser bonding machines from leading manufacturer F&K Delvotec. The machines are equipped with head-replacement systems in order to meet various wire and die bonding requirements. The case is intelligently segmented for maximum compactness. An easy to open glass box encases the bonder, display and monitor microscope, making all tools easy to view. The controls are color-accented to facilitate operation. The AS 3000 is an automated passport printing system. The design aims for an independent line of products which embody the new visual identity of SAFE ID systems. The new design focuses on function and intuitive operation. InoLab is a measuring device for determining PH, redox, oxygen, conductivity and temperature. The design is a step ahead with its easy-to-clean film keypad and clearly arranged function buttons, making it especially well-suited for use in the biology lab. Strobel is a leading manufacturer of specialized sewing machines. We generated a new product CI for the company that was embodied for the first time in the VPR100er spot-tacking machine. By using solid materials, we ensured longevity and resilient quality. The machine's user- and service-friendly build and ergonomic arrangement for the controls mean it can be consistently used for high productivity.